So here we are, living in a 1-bedroom basement apartment in Billings, Montana, until July 22nd. Suddenly, after months of sometimes frantic, often lethargic preparations for our move from Tunisia, the termination of my duties at school, the birth of our baby, and a move to Thailand, I find myself in a really fast-moving time warp. It doesn’t make sense, I know, but hear me out. In Montana, time moves more slowly. I really believe that. The traffic, in particular, indicates that nobody has any real sense of urgency. What a delightful relief after our last few weeks in Tunisia, where we felt increasingly skeptical about surviving any kind of car journey. Not only does time move more slowly here, but people SMILE at strangers. Today, when we stopped to let a couple cross the street on a crosswalk, they smiled and waved at us. As my brother put it, you feel like you can almost become friends with people in traffic. It’s true. I wanted to hop out (ha, there’s no “hopping” at 37 weeks pregnant) and give them a high five! 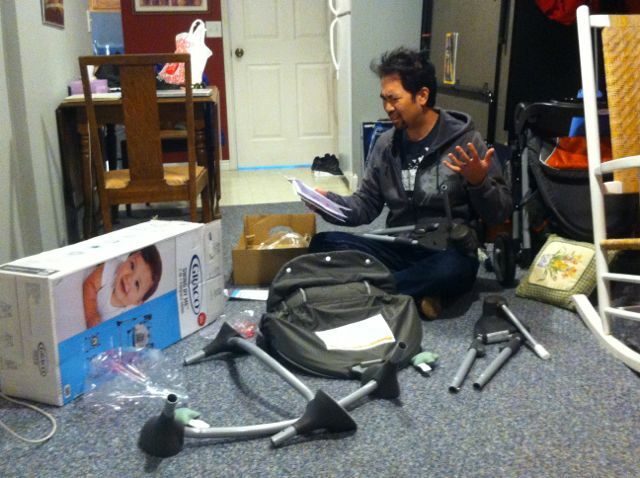 Anyhow, all this friendliness and easy-going laid-backedness makes it seem like time must not really be progressing, and yet, as I begin experiencing my body’s preparation for labor, I can’t help but feel we’re hurtling at light-speed toward the delivery room, where our lives will change forever. More on that when it happens, though. What’s really been on my mind these last few weeks is this whole idea of “settling down”. Our first week back, someone said to us “Well, I guess you guys’ll never settle down. You’ll find out, though.” I was puzzled. I don’t feel unsettled. On the contrary, I feel quite comfortable, stable, and as ready as the next guy for whatever might come our way. I attempted a feeble response, “Maybe there’s more than one definition of ‘settled’…” I said. That didn’t get me anywhere, but it did start me thinking. When I first moved overseas, I remember getting a few comments along the lines of “Oh good for you! Do it now while you can/before you have kids/before you settle down!” Needless to say, I went on to defy the restrictions placed upon me by those comments. Corbet and I met in Chile, married in Hawaii and Montana seven months later, moved to Tunisia less than a month after that, are back in Montana a year and a half later where we will live for a few months while we have our child, and then we’re moving to Thailand. I can see how, in a traditional sense, it might appear that we are not interested in “settling down”. Indeed, I can see how people might just think we’re crazy. But, after a first glance, I’d encourage those people to look a little closer and be a little more flexible in how they define “settled”. We are in a stable, committed relationship. We have a community, we have investments and savings, we have goals and plans, we have stuff, and we almost have a child! The fact that we have/do all of these things in multiple locations does not, in my mind, make us any less “settled”. Indeed, I feel that our ability to move forward in our lives without being particularly attached to one location/house/car/job/routine makes us quite stable. I don’t believe that stability is defined by a physical location or possessions. I think it’s something we should carry within us wherever we go. We are loving “settling in” here in Montana. Spring is springing, and there’s a rich smell of blossoms all around. The sky gleams with that “Montana blue” that Corbet loves so much, and the sound of lawn-mowers buzzes through the air, stirring up memories of care-free Montana summers. We are reconnecting with friends and family, we are going through our own little nesting phase in our cozy little apartment, and, certainly not the least of these, our baby is on his way! What a beautiful time for this little Wonglet to enter the world. 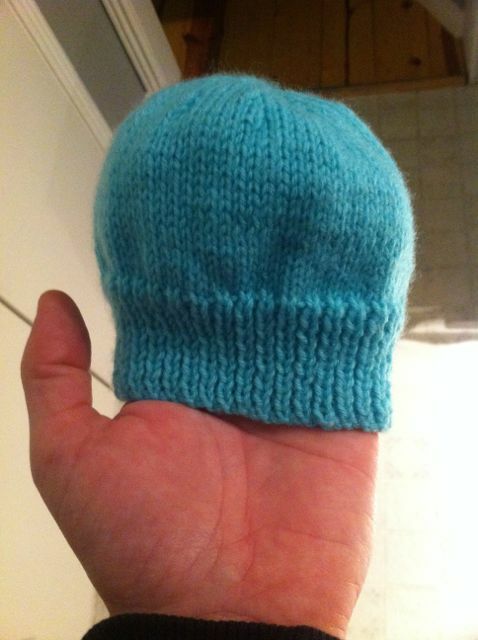 The newborn hat I made for our wee one. 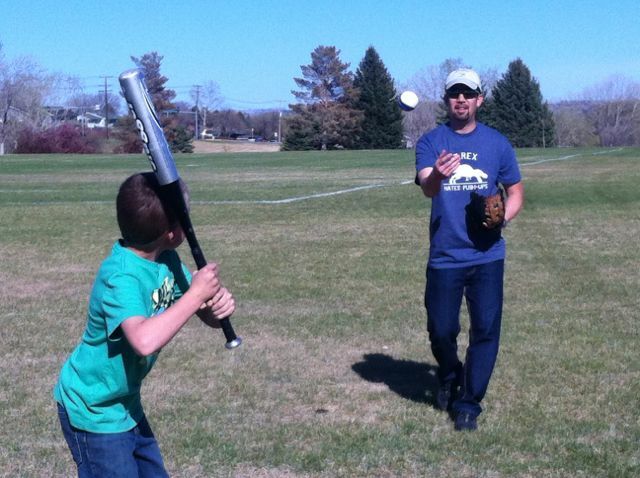 …the next day, baseball in the park!